J.Q. was born and raised in Santa Fe and graduated with a B.M. in Jazz Performance and a B.A. in Chinese Language from Oberlin College and Conservatory of Music. 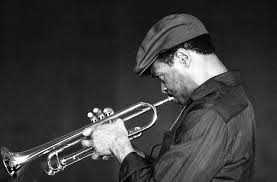 At Oberlin, he studied with trumpet masters Marcus Belgrave and Kenny Davis. Since then he has shared stages with such world-class jazz performers as Dee Dee Bridgewater, Laura Fygi, China Moses, Filo Machado, Sinne Eeg, Sergio Brandao, Valtinho Anastacio, Robin Eubanks, Clark Terry, Neal Creque, Greg Bandy, and Peter Dominguez. J.Q. was frequently highlighted in local and national press during his stint in China from 2003 to 2010, including features on Shanghai Television and local newspaper Shanghai Daily, as well as in all of Shanghai’s most prominent English language magazines for performances in and around the city. 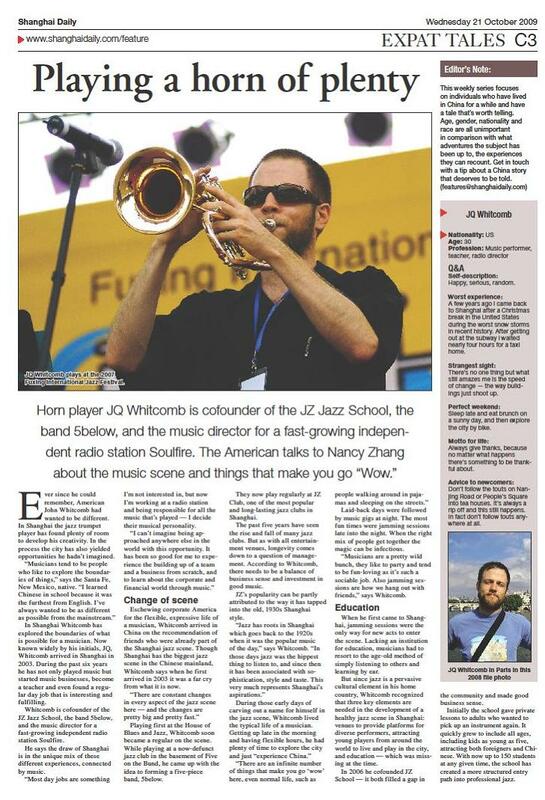 He also authored an article about Shanghai’s jazz scene for the website of his alma mater, Oberlin Conservatory, in 2008. He was featured in 2007 as a guest artist with internationally-acclaimed Scandinavian jazz artists Sinne Eeg and Martin Schack quartet on a tour in Denmark. He also performed at the Copenhagen Jazz Festival in the summers of 2008 and 2011, as well as the 2011 Ribe Jazz Festival. Since returning to Santa Fe, he has formed the New Mexico incarnation of Five Below. He co-leads flamenco-jazz quartet Tierra Sonikete with flamenco guitarist Joaquin Gallegos, and is a member of the all-original jazz-funk trio What The What, together with Jon Gagan and Robby Rothschild.